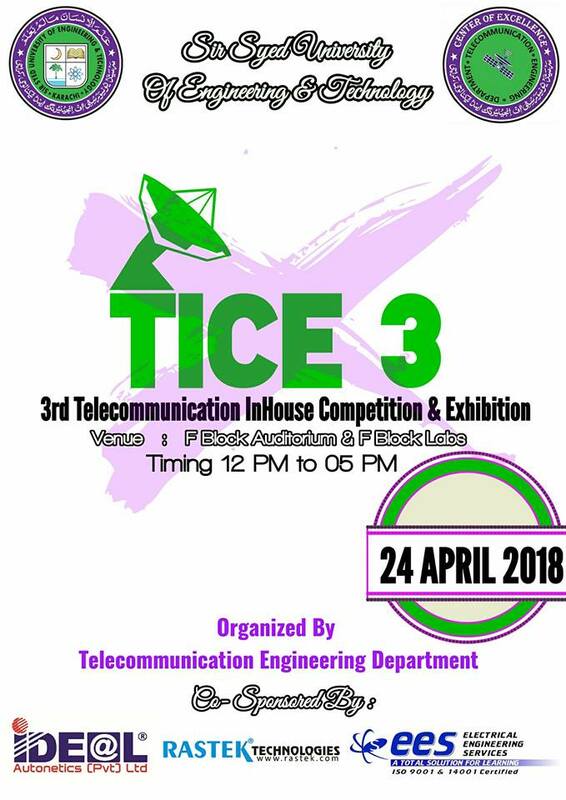 At Sir Syed University of Engineering and Technology,3rd Telecommunication In-House Competition and Exhibition (TICE) held on April 24th,2018. 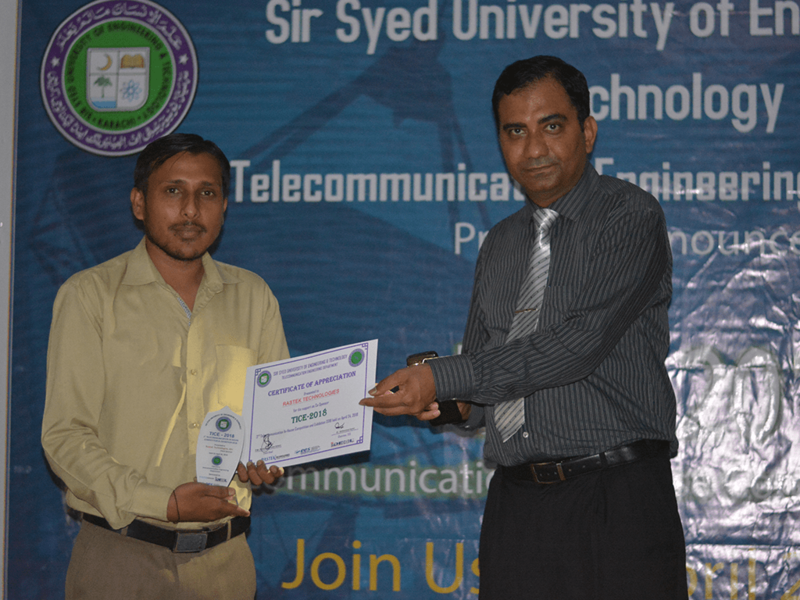 Event was organized with a mission to esteem the hard work of students in the field of Telecommunication. 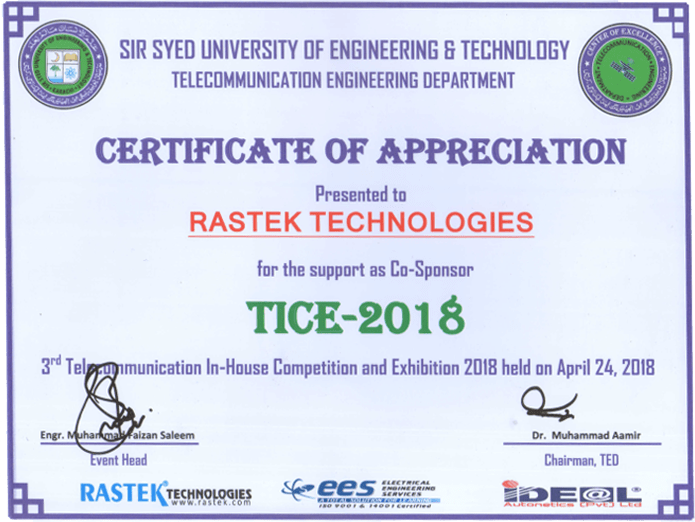 RASTEK Technologies, under its elegant vision and mission in supervision of CEO Mr. Rafiq Ahmed Lakhani sponsored this event. The sole purpose is to motivate students towards technical field and support such platforms where there is a chance for them to groom. A very thoughtful speech was presented by guest of honor. Latest trends and updates in technologies were discussed. Students of different batches participated and displayed their projects, which were then evaluated by their professors and teachers. RASTEK Technologies also inspected student’s projects and interviewed them with their skills. 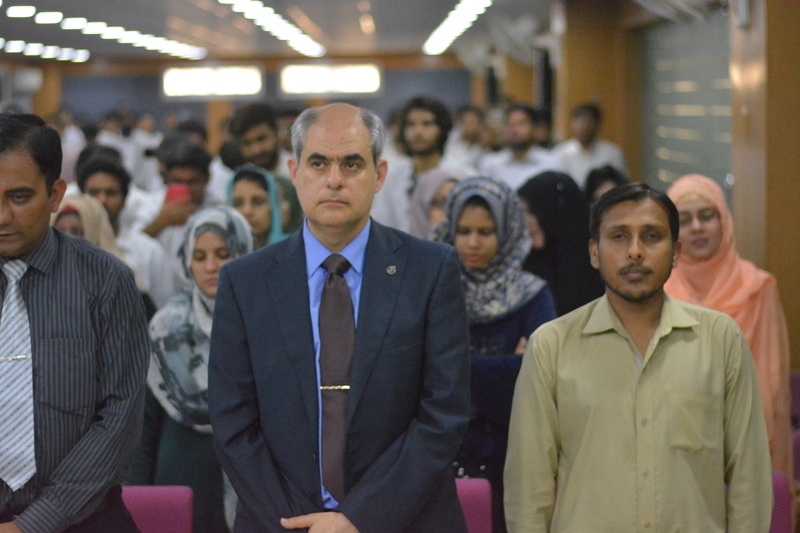 Award ceremony was organized in-order to appreciate students with their work. This has been the motive of the RASTEK Technologies to bridge the gap between the academia and Industries by sponsoring and participating in such Events. RASTEK Technologies is giving the message that both organizations should work together for the better education and learning experience.